I know I've said it before, but Thanksgiving really is my favorite holiday. We're spending the weekend in Connecticut with SD's parents and we have big plans for cooking together (SD and I are responsible for the stuffing, corn pudding, and cranberry conserve), making music, and decorating the Christmas tree. So, so grateful for this life. God is good. Oh, y'all. The past few weeks have been hard. The unrest and turmoil in the government. A great loss in the Eastman community. The stress of work and school and teaching and trying to find a proper balance. The pressure to succeed and make a mark. It's easy to succumb - to complain and get frustrated, to give in or give up. It's also easy to become immobilized by these challenges and feel incapable of moving forward. I write these words from lived, personal experience. But I believe there is more to life than the pressures of our daily lives. From the midst of these challenges, we can be grounded in true, sincere gratitude. Do you believe these words? Does the seemingly simple act of giving thanks really have the power to change things - big, daunting things? I believe it does. So, I'm starting over. I'm starting with gratitude. First, this is my favorite time of year. There are so many wonderful things I love about the fall season - the crispness in the air, the crunch of leaves beneath my feet as we take an evening stroll, the need for scarves and boots, hot apple cider on a chilly evening, and the beautiful colors that greet you at every turn. It's glorious. With fall, comes my very favorite holiday - Thanksgiving. I love the traditions, the hustle and bustle of gathering together, cooking, preparing a meal together, serving each other, and visiting with friends and family. And I love that though we've progressed as a society since that first Thanksgiving, it's name hasn't changed. Thanksgiving - a time to give thanks. Here's what I'm doing to stay grounded in gratitude this season - making a gratitude list (you can download the [download id="1" format="6"] here). Hang it above your desk, print it out and add it to your planner, or if you're like us, post it in your kitchen so that you see it every day. Make a list of everything you are grateful for in life and add to it each day. Look for the little things, the things we tend to overlook in the hustle and bustle and business. 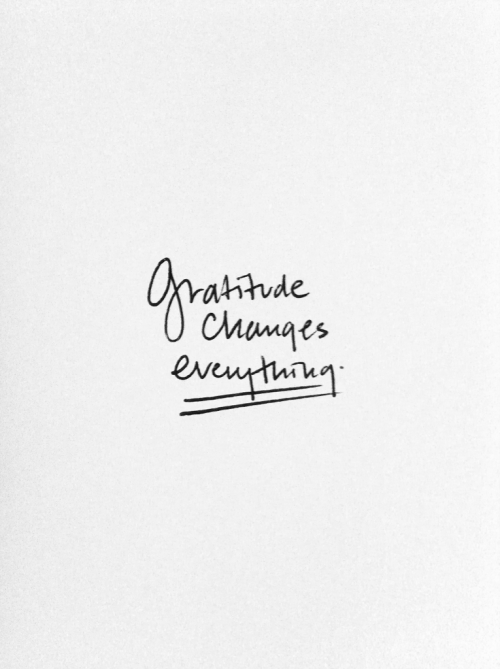 Live a life of gratitude. The phrase, "Love, speak, give with intention" appears on my lock screen as a constant reminder to be more intentional about life. It reminds me to do small deeds with great love, choose words carefully and intentionally, and give with joy. This month, I've been intentional about gratitude and really acknowledging the good gifts we have been given. As we celebrate Thanksgiving and families and football and turkey and cranberry sauce this weekend, I hope you sit a little longer, hug a little tighter, speak with intention, and give to others as much as you are able. "Now thank we all our God with hearts and hands and voices..."